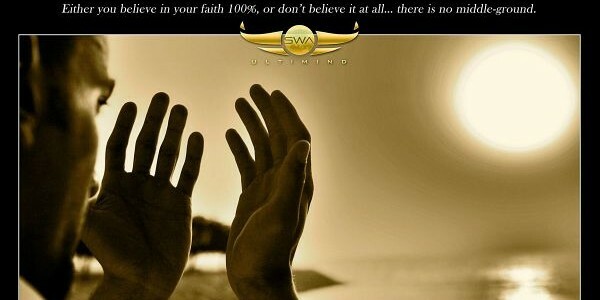 Here's a 600-pixel wide SWA UltiMind poster that talks about Faith In Your Faith. Either you believe in your faith 100%, or you don't believe in it at all... there is no middle ground. In SWA UltiMind, you'll learn that your faith must be set to 100%, or else it will never work for you. You can't compromise on your faith by performing certain superstitious actions and claim that you've got nothing to lose anyway. Well, you have... your faith in your faith!